Front / Back Halo Lit Channel Letters create an unique look to LED illuminated channel letters. Each channel letter has an individual structure and is individually illuminated through the front face of the letter and the back of the letter giving a halo effect. 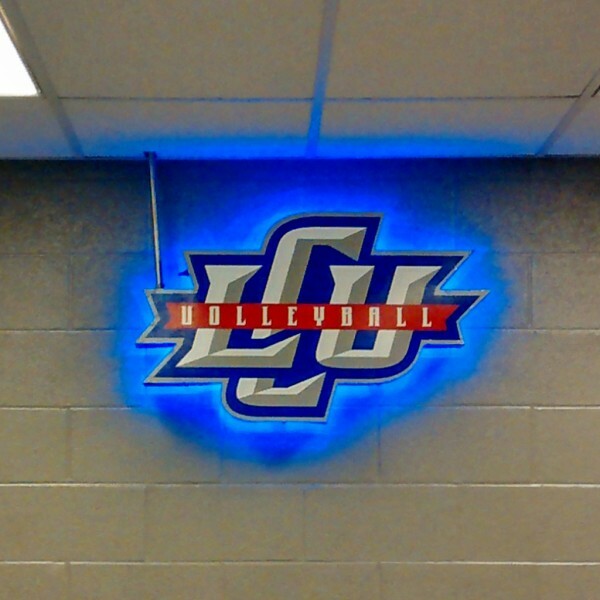 Front/Back Halo Lit Channel Letters are flush mounted to the wall using a standoff mount and can produced in many different fonts, color combinations, and channel logos. Front and Back Halo Lit Channel Letters and Channel Halo Logo Cabinet are LED illuminated through the front face of the letters and through the back to form a halo effect off of the wall. Front/Back Halo Lit Illuminated Channel Letters may vary in aluminum, acrylic, or poly-carbonate thickness due to size of letters.